In our brewery, cleanliness is next to godliness. That mantra stops at the door to my office. I suppose I could maintain an immaculate work environment (I actually felt a little better about that after reading this article). But like it or not, my office has become a copious menagerie of all things Foothills. A brew-cumulation, if you will. Some stuff is kinda cool. Other stuff is . . . well, just stuff. 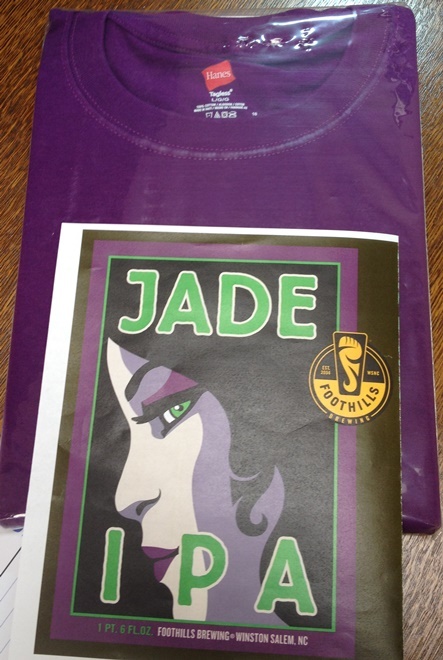 The first bottle of Jade IPA. Like, ever. Our latest gear ideas. Would you wear a shirt this purple? I mean, without being an ECU fan? 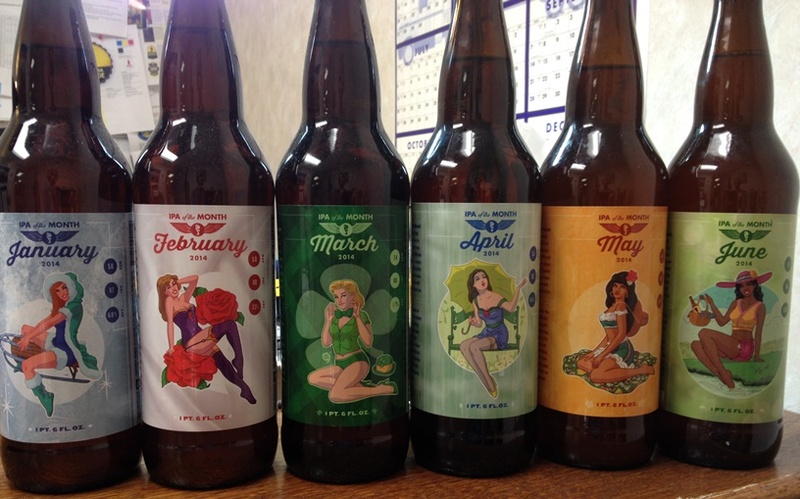 Perhaps the only known unopened collection of our entire IPA of the Month series (through June anyway). 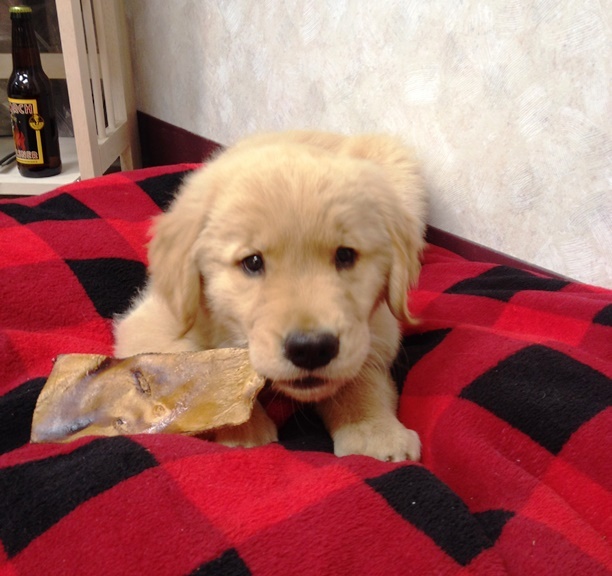 Also, our very first IPA of the Month tap handle (or what’s left of it after Caleb dropped it). Been thinking about making this a part of our ‘name the label model’ prize pack one month. 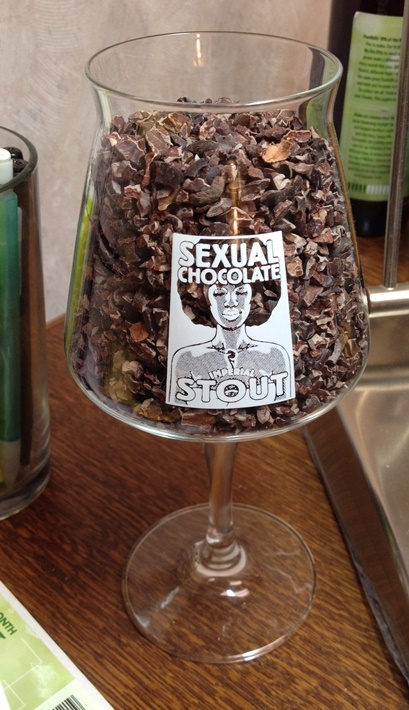 A Sexual Chocolate glass filled with Sexual Chocolate cocoa nibs. Yes they’re edible. Not particularly tasty, but edible. 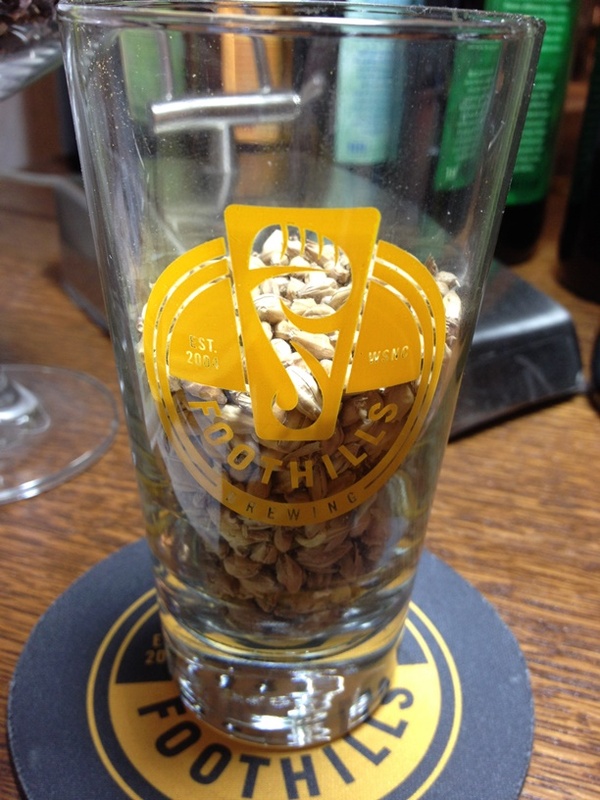 Malted barley. Quite tasty actually. Often serves as a mid-afternoon snack in a pinch. 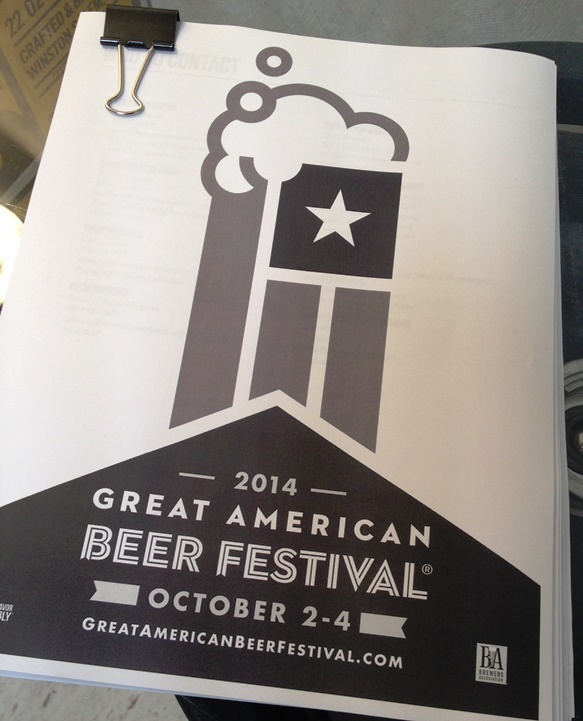 The entry requirements for this year’s Great American Beer Festival – all 72 pages. Dog bed. Complete with dog. 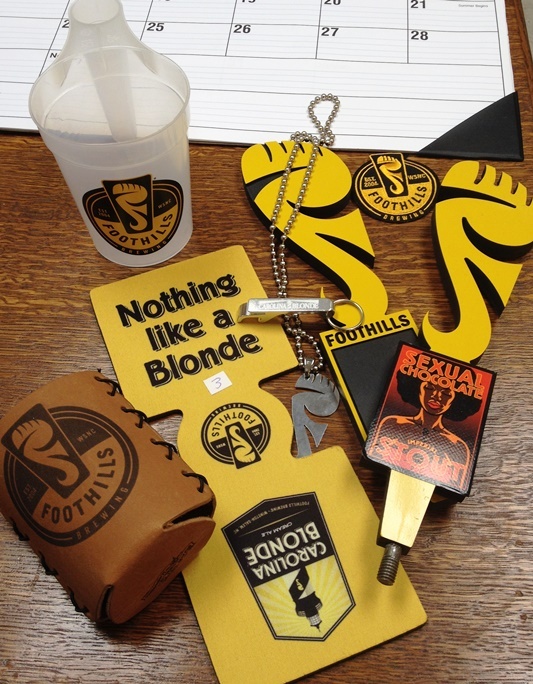 Maybe when we open our new tasting room I can be a stop on the brewery tour. 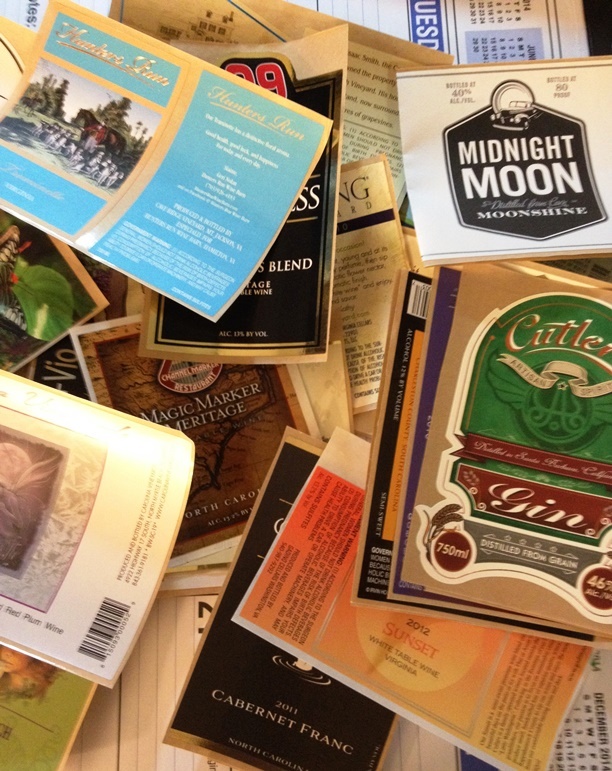 Categories: Uncategorized | Tags: beer, brewery, clutter, craft beer, marketing, North Carolina craft beer, puppies | Permalink. What you need is just extra half an hour to match up in your head the image you want to project to other people and the theme of the event you are attending. Take your time, and keep an open mind to a variety of styles. Cool – realize those first few months might not taste very good by then. These weren’t brewed to cellar. Let us know how it turns out. I have a complete collection of January through June unopened as well. Planning a full year tasting in December or January.